Dr, Partha Nandi M.D., F.A.C.P. Be a part of the studio audience for a national television taping of Dr. Partha Nandi’s newest show Be Your Own Health Hero at the Riley Broadcast Center in Wixom, MI. Everyone has the power to elevate their overall well-being with a few key changes in everyday lifestyle. Through this program, you will not only improve your health in a traditional medical sense, but also through a positive mindset, enhance your life as a whole. Partha Nandi M.D., F.A.C.P. is a practicing internist and gastroenterologist and author of several publications in peer reviewed journals and a soon to be released book. He has traveled the world as a patient advocate, emphasizing empathy in patient care and treatment of the entire person, both mind and body. 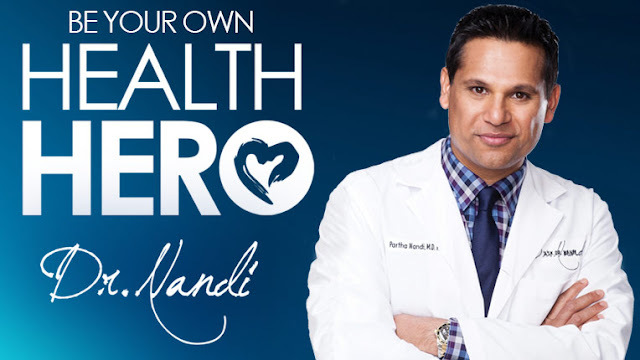 Born in India and raised and educated in the USA, Dr. Nandi merges the best of Eastern philosophy and Western Medicine into a formula for overall wellness.